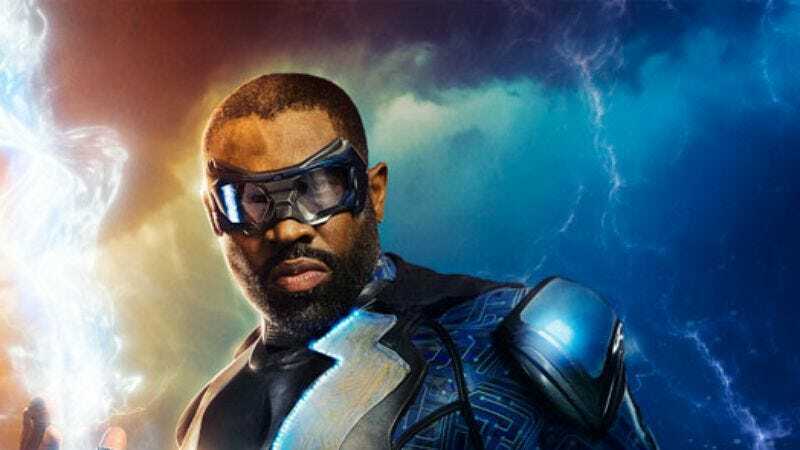 Greg Berlanti’s TV superhero domain just got a little bit bigger, with Deadline reporting that The CW—which is in a pretty pick-up heavy mood today—has given a series order to Black Lightning. Originally developed for Fox, the series stars Cress Williams as DC hero Jefferson Pierce, a.k.a. the electrically powered superhero Black Lightning. (And yeah, that’s just kind of the name you get stuck with when you’re a black superhero created in 1977.) The most interesting about the new series—so far, at least—is that it’s blessedly not an origin story; instead, Pierce is a veteran hero who comes out of crime-fighting retirement to help his daughter and one of his star students. Meanwhile, there’s no word on whether the show will cross over with Berlanti’s other CW superhero shows, but we can’t imagine he’ll be able to hold off on the impulse for long. Black Lightning isn’t the only pick-up the network announced in the last few minutes of its current binge; the CW also tapped Life Sentence, a new dramedy about a young woman (Pretty Little Liars’ Lucy Hale) who suddenly receives a terminal cancer diagnosis, and pledges to make the most of her remaining time on Earth. Written by Erin Cardillo and Richard Keith, who also created the network’s Significant Mother, the show also stars Elliot Knight, Dylan Walsh, Gillian Vigman, and Jayson Blair, and is being partially produced by Scrubs and Cougartown’s Bill Lawrence.